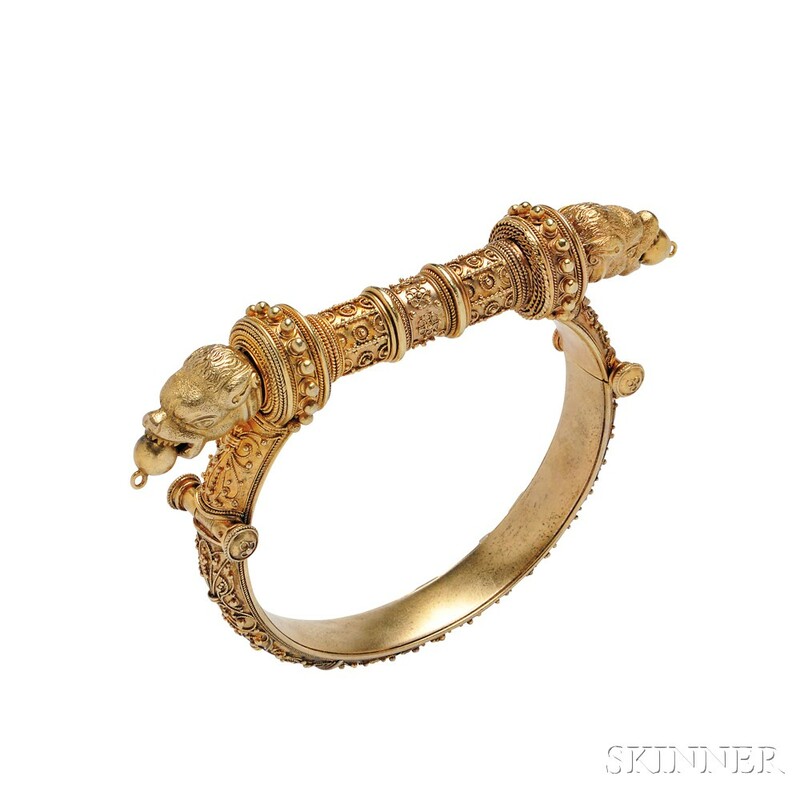 Gold Etruscan Revival Bracelet, c. 1865, the double-hinged bangle with wirework and granulation, clasp designed as two chased lion's heads, interior cir. 6 1/4 in. gold tests at 14kt or higher, light wear, small areas of tarnish.